In the latest counterfeit seizure done by Enforcement agencies in the EU, a massive 360 tonnes of illegal or fake pesticides has been seized. The extent of counterfeiting in this industry is shocking and alarming. Fake pesticides and fertilizers, not only hamper a brand’s reputation but also poses a health risk to a large population. The recently seized quantity of counterfeit pesticides is enough to spray 48,000 square kilometers, which is almost equivalent to the size of the UK. According to the news published on SecuringIndustry.com, 14% of the pesticide in the EU market is counterfeit or illegal. The percentage is so high when not all the incidents get reported. The magnitude of the counterfeit problem makes it inevitable for the pesticides and fertilizer companies to start using Anti-Counterfeit solutions. Anti-counterfeit measures will not only help in protecting the brands but also save many people and the environment from hazardous consequences. If corrective actions are not taken soon, this problem is going to grow more rapidly with every passing moment. Counterfeit pesticides and fertilizers may make farmland barren, or the produce of the farm may be harmful to the health of the people. 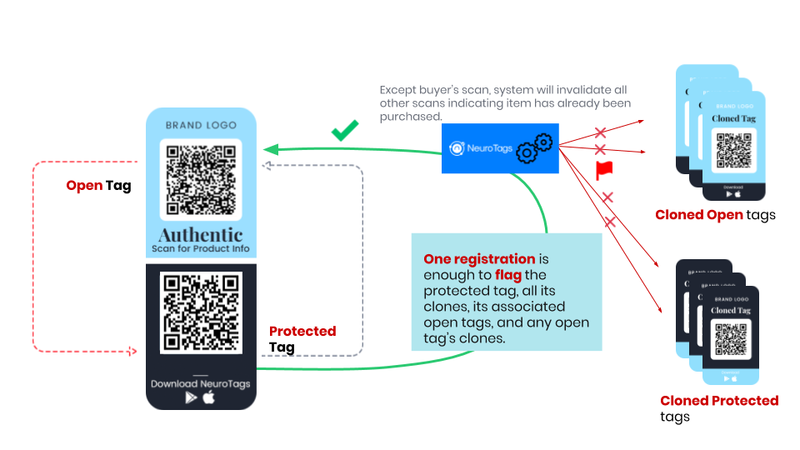 NeuroTags is a one-stop solution for preventing the counterfeits. The solution is straightforward to deploy and does not disturb the current production line of the company. NeuroTags provides crypto tags, which are to be applied on the pesticide/fertilizer pack. These tags protect the products from the counterfeiters. Each tag consists of two parts – Open tag and protected tag. Open and protected tag are algorithmically coupled and are backed by patent-pending technology & AI. The tags are monitored and protected by algorithms and AI on the server in such a way that, if a counterfeiter tries to replicate the tags, anomaly detection algorithm catches it and the products with copied tags get invalidated. 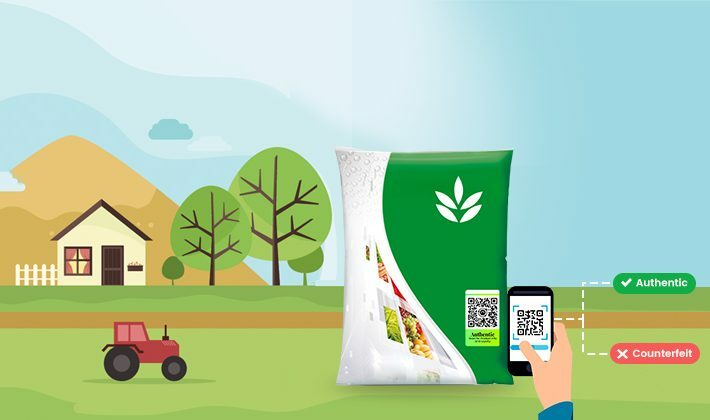 Farmers can scan the tag using a smartphone and quickly check the genuineness of the product they buy. NeuroTags also provides loyalty and referral program features that can be plugged with the Anti-Counterfeit solution. These solutions also help the brands in customer retention and offline marketing. The solutions by NeuroTags are flexible and can be customized as per the brand’s needs. Need more details? Please contact us to know more about NeuroTags offerings.